I have to hand it to Chevrolet for taking some big risks in the small car arena. First, there's the new Sonic—a surprisingly good subcompact (keep an eye out for a review of the 2012 Sonic LTZ) with an available 1.4 turbo engine. Then there's the announcement that the Chevrolet Cruze will be available with a diesel engine. 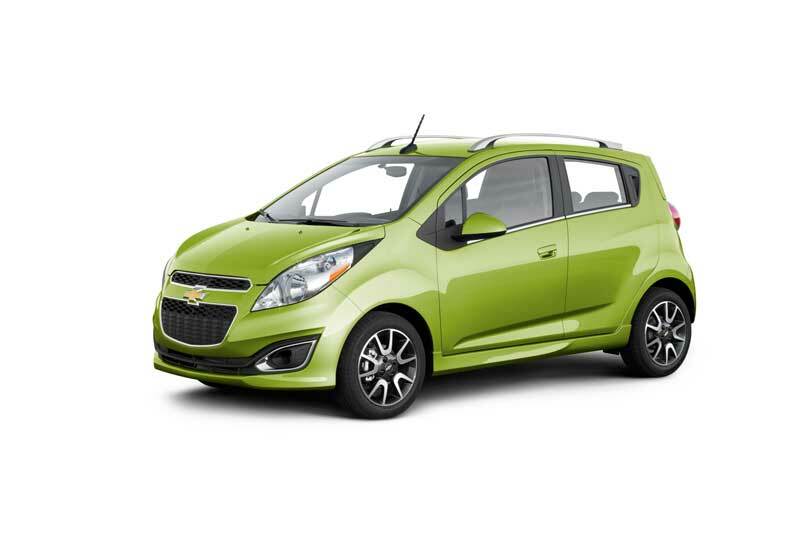 Now, Chevy debuted the Spark mini car at the LA Auto Show, and announced it will be sold on North American soil. A few years ago, the thought of a mini car wearing the Chevy bow tie would've been nearly unthinkable. But seeing the previously announced small car news, you could say Chevy is on a bona-fide small car kick. The Spark, which as been on sale in other parts of the world, such as India since 2010 (and also sold as the Daewoo Matiz), will have 1.2-liter DOHC VVT engine making 85 horsepower and nearly 82 ft./lbs. of torque. Transmission choices will be a five-speed manual or a four-speed automatic. In five-speed guise, Spark will weigh a scant 2,269 lbs., so it should be able to keep up with traffic, as well as other minis, such as the upcoming Scion iQ, the Fiat 500, and Smart ForTwo (if you consider that competition). 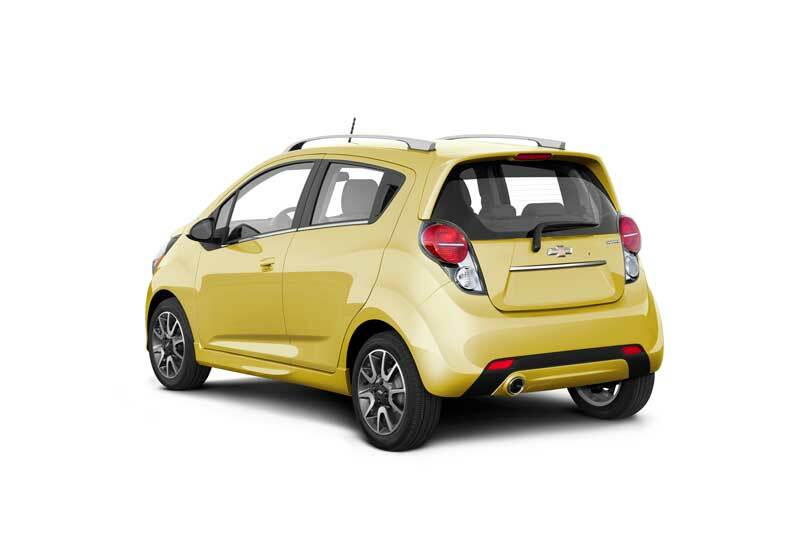 Looking like a smaller version of the Chevrolet Sonic, the Spark's exterior specs are indeed smaller in every way, except height. Spark will have 10 airbags as well as all of the other safety accouterments; 15" wheels; an array of seven vibrant colors; and and available seven-inch touchscreen infotainment system. Unlike the Sonic, the Spark will be made in South Korea (Sonic is made in the U.S.). It will be interesting to see whether or not Ford will follow suit and bring a mini car offering to the states to compete against Fiat (Chrysler) and Chevrolet (GM) in this in the A-segment. Then again, if the A-segment doesn't take off—Smart sales are very low, and Fiat 500 sales are below expectation—Ford might sit this one out. What about the MINI Cooper? Does it not also play in this sandbox? Technically, the MINI line is in the B-segment. The 500, for example, is six inches shorter than a MINI. That'll make the Spark the first mainstream A-segment car. Where will these be made when sold in the USA? I commend Chevy for brining this car too. But I think its awesome and like someone else said, Chevy is more mainstream and has a bigger dealer network. Which means this car will probably have more success. Granted its not a volume car in a sense of bread and butter...we'll see. I wish the best for it as I like small cars, especially ones that are designed cool and are fun to drive.